Street and Performance Electronics, the first company to develop the throttle body spacer that delivers improved power, performance, and economy has achieved a design breakthrough! Our engineers have developed a new generation design that provides even better performance and economy! Utilizing multiple aerodynamic principles, the Helix Power Tower PLUS produces air breakup and turbulence that yields greater fuel burn efficiency, which translates into the best performing and efficient product of its type in the marketplace! The Helix Power Tower PLUS is crafted from heat-treated T-6061 aircraft quality solid-billet aluminum. Each plate is held to the most rigorous manufacturing standards in the industry. They are machined on the most advanced CNC equipment available, assuring you of the most accurate product possible. Each plate is subjected to ultra high inspection standards, for further assurance of the finest product in the marketplace. The Helix Power Tower PLUS kit comes with all the installation hardware you need. Installation is simple and can be done in as little as 45 minutes. Fits: 2002-2003 Ford Explorer Sport 4.0L SOHC, 2002-2003 Ford Ranger 4.0L SOHC. Street and Performance Electronics, the first company to develop the throttle body spacer that delivers improved power, performance, and economy has achieved a design breakthrough! Our engineers have developed a new generation design that provides even better performance and economy! Utilizing multiple aerodynamic principles, the Helix Power Tower PLUS produces air breakup and turbulence that yields greater fuel burn efficiency, which translates into the best performing and efficient product of its type in the marketplace! The Helix Power Tower PLUS is crafted from heat-treated T-6061 aircraft quality solid-billet aluminum. Each plate is held to the most rigorous manufacturing standards in the industry. 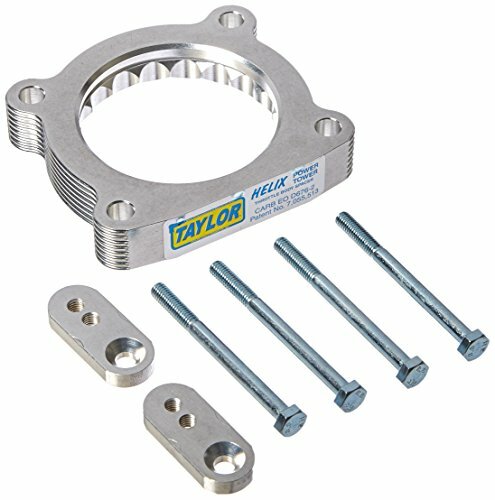 They are machined on the most advanced CNC equipment available, assuring you of the most accurate product possible. Each plate is subjected to ultra high inspection standards, for further assurance of the finest product in the marketplace. The Helix Power Tower PLUS kit comes with all the installation hardware you need. Installation is simple and can be done in as little as 45 minutes. 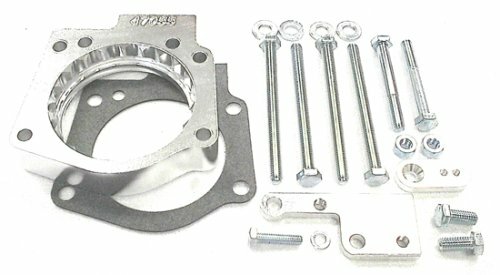 Fits: 2001-2004 Honda Civic 1.7L D17A1, 2001-2004 Honda Civic 1.7L D17A2 VTEC, 2001-2004 Honda Civic D1701, 2001-2004 Honda Civic D17A6 VTEC. 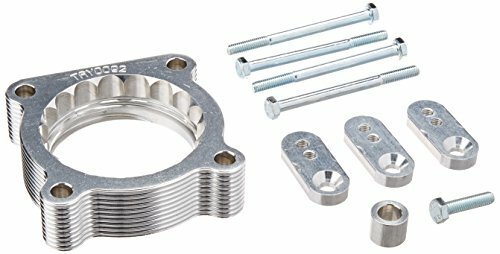 Street and Performance Electronics, the first company to develop the throttle body spacer that delivers improved power, performance, and economy has achieved a design breakthrough! Our engineers have developed a new generation design that provides even better performance and economy! Utilizing multiple aerodynamic principles, the Helix Power Tower PLUS produces air breakup and turbulence that yields greater fuel burn efficiency, which translates into the best performing and efficient product of its type in the marketplace! The Helix Power Tower PLUS is crafted from heat-treated T-6061 aircraft quality solid-billet aluminum. Each plate is held to the most rigorous manufacturing standards in the industry. They are machined on the most advanced CNC equipment available, assuring you of the most accurate product possible. Each plate is subjected to ultra high inspection standards, for further assurance of the finest product in the marketplace. The Helix Power Tower PLUS kit comes with all the installation hardware you need. Installation is simple and can be done in as little as 45 minutes. 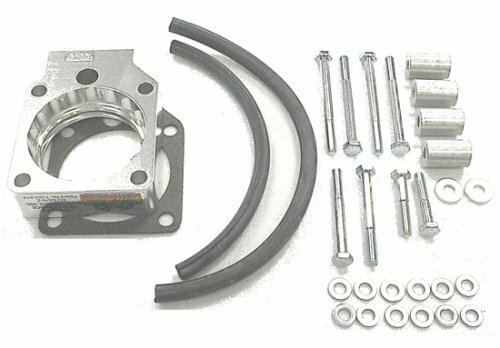 Fits: 1999-2004 Toyota Sequoia 4.7L, 1999-2004 Toyota Tundra 4.7L. 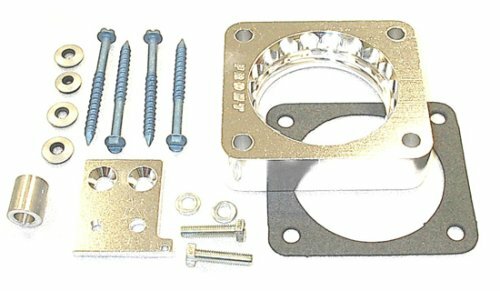 Street and Performance Electronics, the first company to develop the throttle body spacer that delivers improved power, performance, and economy has achieved a design breakthrough! Our engineers have developed a new generation design that provides even better performance and economy! Utilizing multiple aerodynamic principles, the Helix Power Tower PLUS produces air breakup and turbulence that yields greater fuel burn efficiency, which translates into the best performing and efficient product of its type in the marketplace! 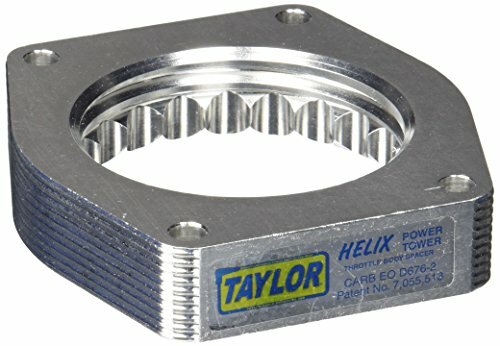 The Helix Power Tower PLUS is crafted from heat-treated T-6061 aircraft quality solid-billet aluminum. Each plate is held to the most rigorous manufacturing standards in the industry. 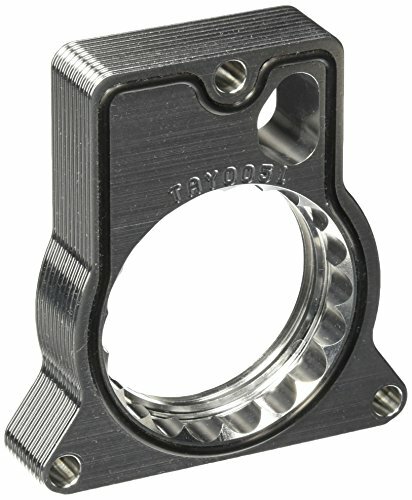 They are machined on the most advanced CNC equipment available, assuring you of the most accurate product possible. Each plate is subjected to ultra high inspection standards, for further assurance of the finest product in the marketplace. The Helix Power Tower PLUS kit comes with all the installation hardware you need. Installation is simple and can be done in as little as 45 minutes. 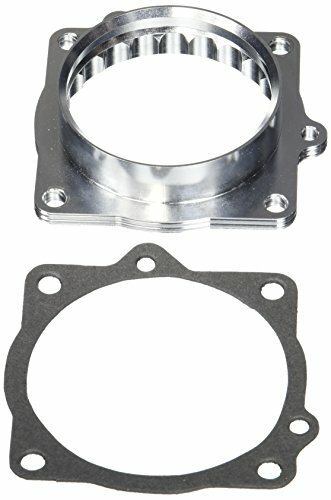 Fits: 1990-1999 Ford Explorer 4.0L OHV, 1990-1999 Ford Ranger 4.0L OHV. 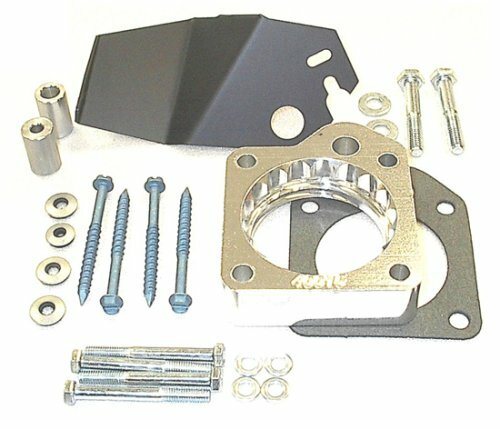 Is A Throttle Body Spacer Worth It? 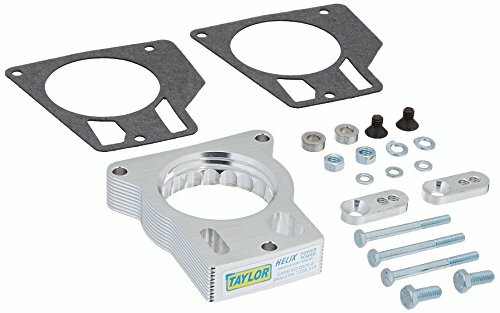 Compare prices on Helix Power Tower Throttle Body Spacer at ShopPlanetUp.com – use promo codes and coupons for best offers and deals. We work hard to get you amazing deals and collect all available offers online and represent it in one place for the customers. Now our visitors can leverage benefits of big brands and heavy discounts available for that day and for famous brands.